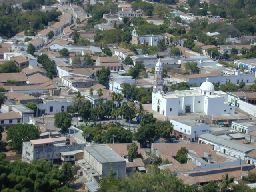 Cosala is considered one of the most Beautiful Colonial Villages of Sinaloa State. It is located northwest of Mazatlan between the limits of Sinaloa and the famous state of Durango. Lakes and mountain surround this gorgeous town. Cosala means in the Cahita language "Place of the beautiful landscape" which is clearly evident when you see the breathtaking landscape. This picturesque colonial village is also a Heritage Site of Mexico due to its historical temples, neo-classic buildings and perfect cobblestone streets. Every Tuesdays and Fridays in Mazatlan, Mexico. Pick up service from hotels and cruise ship dock..
Mondays, Wednesdays, Thursdays, saturdays and Sundays. Rarely cancelled due weather conditions. This tour is suitable for cruise ship passengers. Pick up and drop off service to the cruise ship dock. This tour can be arranged to be private for groups or families. Stone Island Tour. Experience the beautiful isolated beaches of Stone Island. A must for cruise ship passengers. Copala Tour. Copala is a delightful little town, founded in 1565 built into the slopes of a small valley. Blue Agave Tour. 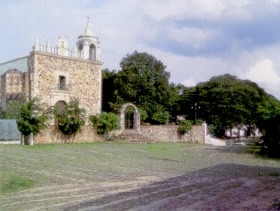 Visit the only agave distillery in the state and La Noria, a tipical rural small town. Old Mazatlan Walking Tour. Enjoy the charming of the Historical Center of Mazatlan history and architecture. Francisco Iriarte y Conde, first governor of the state declared Cosala the capital of the western state in 1826. He introduced printing in the Sonora and Sinaloa and it was in Cosala that the first newspaper of Sinaloa, "The Impartial Spectator" was published. In its surroundings there are attractive places as the Vado Hondo waterfall and town reservoirs "Comedero" and "El Salto" a few miles from town. Both these lakes are stocked with large mouth bass. The museum of Mineralogy is highly interesting, it mainly displays photographs and documents on the history of mining in Sinaloa. 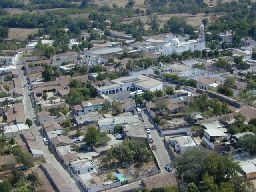 Cosala was the dominant region in the social and political life of the State of Sinaloa until it became its capital in the early independent Mexico. Cosala is a picturesque colonial town surrounded by myriad of natural attractions.